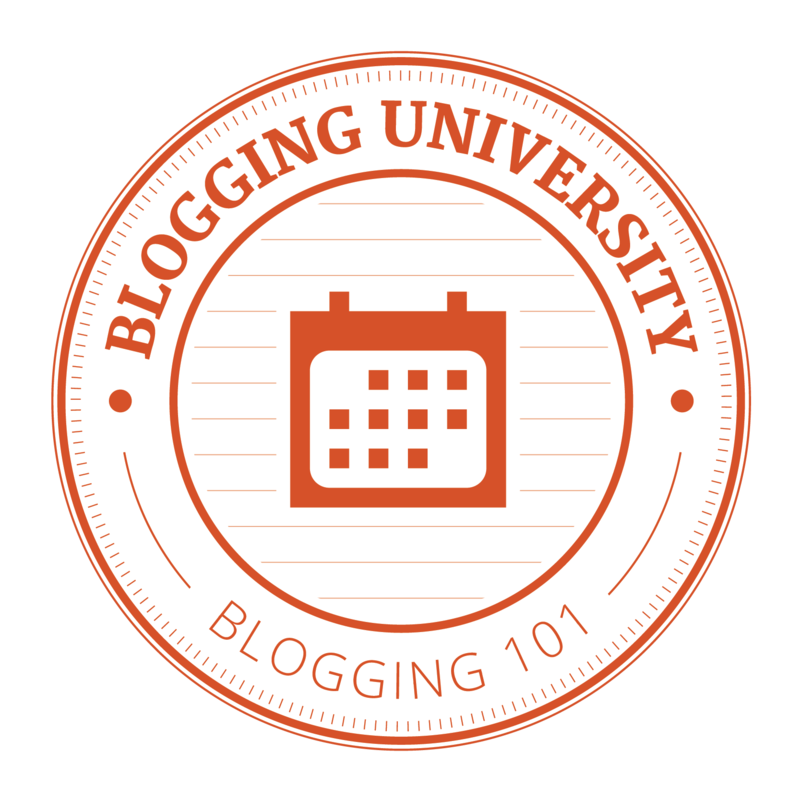 Michelle W. and Blogging U team have done a great job by providing us this opportunity of learning wonderful blogging ideas and tips to customise and build up a great blog. I shall ever remain grateful to them for providing this wonderful course and guidance. 1) Regarding review of my posts and work till now, literally I doesn’t have any brainstorming achievement. The only thing I am happy about is that I learnt a great lot through this course and enjoyed the company of many friends here. One more thing I am proud of is that I got 305 views in this July month only whereas the total views for whole 2 year period on my blog stands at 437 views. So, this is a milestone that I achieved this month here. Now, I will be regular here posting at least 2 posts in a week besides my daily visits to the posts of my other friends and newbies and interacting with them. 2) Now, coming to social calls, I have already told you that I am participating in two blog events- Tasty Thursdays and Literary Lion. So, I visited the posts by some other participants on those events and left comments on two other tasty thursday posts and one literary lion post which appealed most to my senses. This is in addition to my regular activity of reading posts of others and liking or commenting on them which is a definitely regular practice of mine at any site. So, this is all about my reviews and social callings. Finally, I want to thank all my friends and followers for their great support without which I could not have achieved even this much progress. Thanks a lot. As already mentioned, the aim of my blogging is to bring some awareness among people to live better and to create better living conditions around us. So, naturally, I will be expressing my views on many related subjects and fields of topics that lead to bettering our life. It can be on human values, social issues, health issues and tips on cooking healthy foods. You will accept that every action and thought process that we are involved is somehow related to the topic of bettering our lives. So, living better naturally is a very wide topic involving all fields of life. I have planned to publish two posts each week covering on any of these various sections of life. One post may be covering on recipes, publishing one recipe every week. But you should bear in mind that all my recipes are on Indian Food. The other post may cover on any random topic that may struck to my mind leading to better lifestyles. I hope you will find them interesting and enjoyable and please be providing me support with your valuable advice always. I am very slow in all these things. Selecting an image for Blavatar has been of much tricky one. I could not find any suitable image that should be of small in size and be feasible to inscribe the words of Living Better also in it. After much search, it struck to my mind that a flower can symbolise the theme of Living Better. So, I chose a flower of small pixels and edited it to write the words of L and B one upon another with green colour over that yellow flower by writing B on the horizontal line of L. This is presently what I keep to be my blog’s Brand. The next thing I have done is to add a Follow button in the widgets section, so that any body can easily click the button to follow my blog. I contemplate upon creating a Facebook Page also in the very near future so that I can promote my brand on it instead of piling up everything on my timeline which should be kept ideal for social media interaction only. I would like to get your opinion about my blavatar and brand icon. The blavatar/ brand icon has been later changed as per some good advice of our blogger Azhar Youssef. and now, the blavatar icon is as shown on the right side. Hope it is like I am selling Living Better. Hi, Friends. I have been late due to some birthday party of my granddaughter (It’s actually of my elder brother’s granddaughter). I liked the idea of participating in blogging events and browsed through many of them specified as highlights by our wordpress favourites and all other listings of events. All of them are quite good for giving food to your thoughts and increasing your writing skills. But, I had to select one or two so that I can afford to participate on regular basis. I selected to participate in one storytelling event and another recipe blogging event. 1) The story telling one is titled as “Literary Lion” event wherein, the organiser Laura Gabrielle Feasey has a jar of the literary lion which contains words and phrases left by his guests while leaving. Each week one of those words/phrases is given as a prompt and you have to write a story, flash fiction or poem, anything within 400 words and submit with a tag of Literary Lion and pingback to the challenge. The link to this challenge is here. 2) The other one about recipes is titled as “Tasty Thursdays”. This event is organized by Razel Mella and all that you should do is to think back about the tastiest food you had eaten within those last seven days and write about it with a photo of the recipe and pingback it to the challenge. The full details of it can be viewed by clicking the event details at the bottom of this Link. So, I hope to participate in both of these events, taking my time and I wish you may also love these challenges. Browsing through the responses to the Daily Prompt “Finite Creatures”, I got much inspired by a post of ‘SOUL N SPIRIT’ titled “Living in Illusion”. She presented her submission in a poetic form and discussed about mortality and immortality in an appealing approach. How people like to be more materialistic and do not like to be reminded about the fact of their being mortal beings. The fact that they may be required to leave this earth at any moment of life leaving behind all their materialistic assets and acquisitions that they had been collecting with so much eagerness. Almost all of us like to be living for ever, enjoying the fruits of life. No one wants to die or grow to be older and become disabled. We do not like to accept this fact of our being mortal and always pretend to be ignorant of this fact. That’s how we engage ourselves excessively in materialistic pleasures of life and spend all our time in accumulating wealth and other material possessions. Even we do not care about whether we are going to enjoy these accumulations at any point of our lifespan or not. We blindly keep on accumulating whatever we can and keep ourselves engaged in illusions of life. Now, coming to immortality, I would like to stress here that one can become immortal not in its physical sense, but by getting into the hearts and thoughts of people through one’s great deeds of kindness, generosity and engagement in activities that provide better life to all around him and also to the coming generations. Do something good to society and your neighbours, so that you will remain in their hearts and thoughts for ever. Try to spread the message of Love and Kindness to make the world a better place to live and thus remain immortal in the minds and hearts of people like Mother Teresa, Martin Luther King and Mahatma Gandhi whose names are immortal. All of us should have come to realise this harsh reality at some point or other. I, for one, came across this bitter reality as early as at the starting point of my teenage when my mother expired. I was studying in Class VII at that time and I was shocked to see the body of her lying like some stone with eyes wide open. My father asked me not to cry as my younger brothers and sister might breakdown. My elder brother was far away in U.P. and he was informed. The body was kept in ice for two days. It was a heavy blow to all of us, but we could not weep so as to not frighten the younger ones. Even though I had been at one or two death scenes of my infant siblings immediately after their birth, I didn’t remember feeling so much struck in my heart. After that incident, I had to be a responsible son to my father studying well, looking after my siblings, taking them along with me to the shops and markets, coaching them whenever need arose, helping father in the kitchen and sharing all other responsibilities. This incident has given me the lesson that life is very scary and one has no definite period of life span and anybody can meet death at any time. One can die even while he is in the womb, or after taking birth within some days, or even after some years. One can die young, one may reach old age and then die. My mother died in her forties, my father died in his fifties and I can see people celebrating 100th birthday also. I myself am presently 63. So, it is clear that we are mortals and life is not certain for anybody. We must accept this bitter fact and try to be as humane as possible and accomplish some good works during this given little span of life. Be generous and kind to people. Be always ready for giving a helping hand to neighbours and even your own family members. Avoid unhealthy practices and promote healthy habits thereby reducing health problems. Help in keeping the society clean and pollution-free. Try to make the world a better place for living thereby providing happiness to all. I have been already following many blogs that I liked to view and learn new things. I clicked the like buttons and commented frequently on many of them also. The theme I selected to blog here is Ecto theme which I customised according to my likes. This theme allows blogroll through widgets section in the sidebar only. And I don’t have experience with links or text widgets. So, I opted to include the Blogs that I Love through the Blogs I follow widget that is available to me. It allows upto 50 blogs to be listed either in straight line Names or in the form of Grid of images of blogger gravatar. I do not like the list to be too lengthy. So, I selected maximum 20 blogs to be shown in the grid form. When I clicked “Save”, most of the blogs that I followed from much earlier did not appear in it. I was much worried how to edit it so that I can choose from all the 39 blogs that I followed, to showcase the most liked blogs. I came to know that the blogroll widget automatically selects the recent blogs followed by me first to complete the 20 figure. So, I went to the Reader to see if there is any option to select the list. In the reader, where you see “following”, there is a starred circle which is clickable. There I clicked and landed to the list of my all blogs. There, I found a cross button against each blog for unfollowing it. As there was no other option to select, I had to click unfollow so that I can keep only 20 blogs in the list. So, I kept the most liked blogs and clicked unfollow for others temporarily and then came out and found that now my Blogroll widget is containing all those blogs that I wanted to showcase. This is how I highlighted my Blogroll today so that all of you can find those blogs interesting to you also. Now you can click my widgets button and find the blogs loved by me by scrolling down.